The snow is just about falling over southern Illinois and western Kentucky. It will be very difficult to get true measurements of the snow due to the gusty winds blowing snow around, but when it is all over we will see the snow amounts ranging from nothing to 4" (in southern Illinois). Replacing the snow will be cold air. Temperatures will fall to the single digits to the teens. It will be colder where there is snow on the ground over southern Illinois. When looking at the above image, read it from right to left. The red line indicates the air temperature at the surface with the gray horizontal lines. The yellow lines indicates air temperature at different heights of the atmosphere. The blue vertical bars indicates snow. 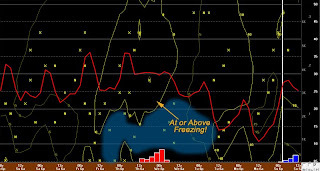 The red vertical bars indicates freezing rain. Follow the red line and you can see the dip in temperatures tonight and our slight peak tomorrow. The model is indicating highs will be in the lower 20's tomorrow. I think some locations will struggle to get out of the upper teens. It will also be windy. Lets skip ahead and look towards Wednesday night and Thursday morning. As I alluded to during last night's video update, there is the possibility of some freezing rain in that time period. The European model was hinting at it last night and the GFS was not. This morning's run of the GFS is now on board with a little moisture falling during that time frame. 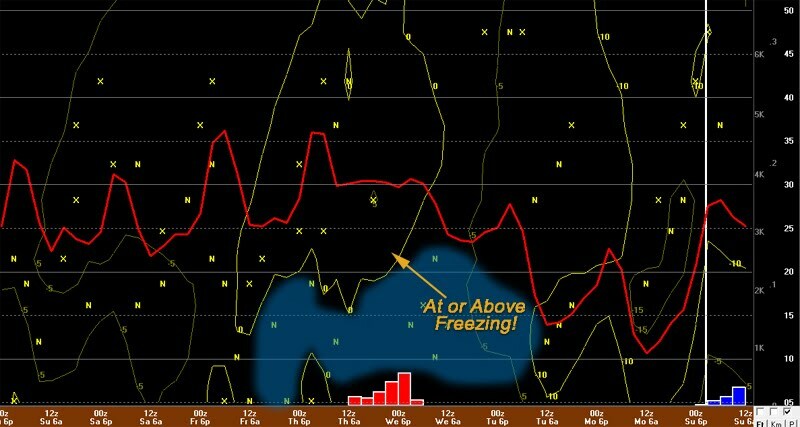 There are a couple things you have to look at for freezing rain to develop. You have to have moisture falling in the form of rain. To have rain you have to have temperatures above freezing. Look up a couple thousand feet Wednesday evening. I have pointed out where there is a "bubble" of warm air that moves in. This would allow any moisture that is falling to melt and be rain. You have to have shallow cold air, below freezing, at the surface. This appears to be the case below 2,500 feet to 1,500 feet. As the rain encounters the colder air it begins to freeze. (I colored in the below freezing layer with blue. The key is seeing how thick the cold layer is. If it is too thick, you will get sleet. If the below freezing temps stay close to the surface the rain will freeze on contact. At this point it is looking like it could be freezing rain and/or sleet. 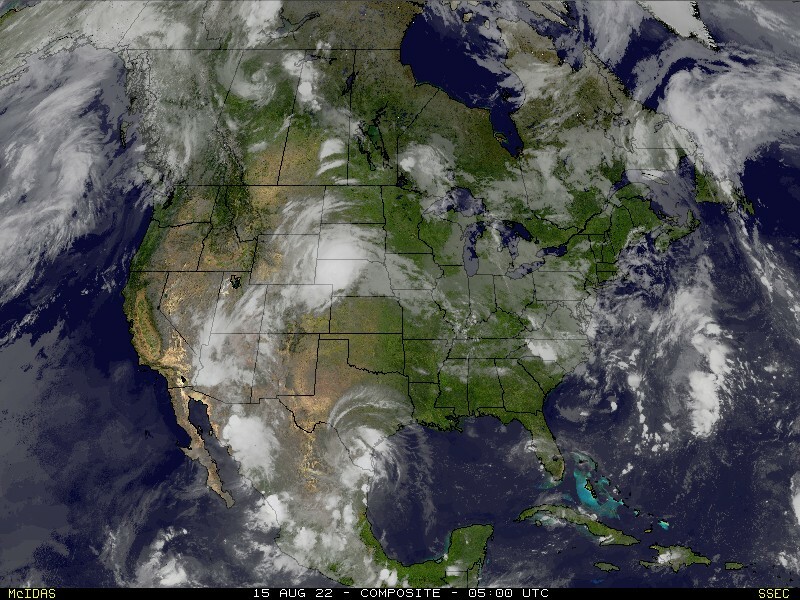 The good news is there is not a lot of moisture being spit out by the models. This morning's GFS is suggesting 0.07" of precipitation.